Finally, after what seems like years of endless phone calls to the bank, I got the money back from the book case I had ordered from a company that went into liquidation. So on Tuesday, Dan and I went to Ikea in Manchester, and with the money we got this one. It was so lovely to finally get one, even though it isn’t quite the same as the one I originally wanted, I’m really happy with it. 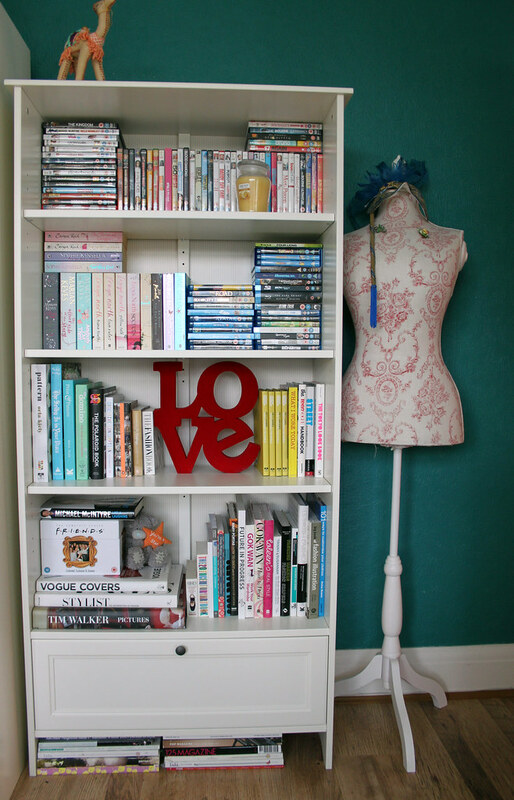 I dressed it up with my books and our DVD and Blu Ray collections, and think it looks quite nice if I do say so myself! I’ve been spending the past few days in the spare room decorating numerous pieces of furnitures and boards for my final project. It all seems to be coming together nicely, but there is still so much to do, so please bare with me if there aren’t many posts coming your way. I do have a couple lined up for the weekend, where I’ll be showing you some bikinis I recently bought, and another Currently Coveting post. Thanks for all the lovely feedback on the last one I did! If you haven’t already seen it, you can find it here. In other news, I wanted to let you know about an amazing competition that Style Clone (the site I blog for!) are holding in conjunction with StylistPick. Basically, if you enter the competition, you can win a pair of shoes every month for a year! I’ve entered, and I think you all should too as its such a fab prize, worth £480! You can see more details and enter HERE. Good luck if you do! I’m off to the land of nod now, but will hopefully be back tomorrow to show you my new bikinis! I love it! 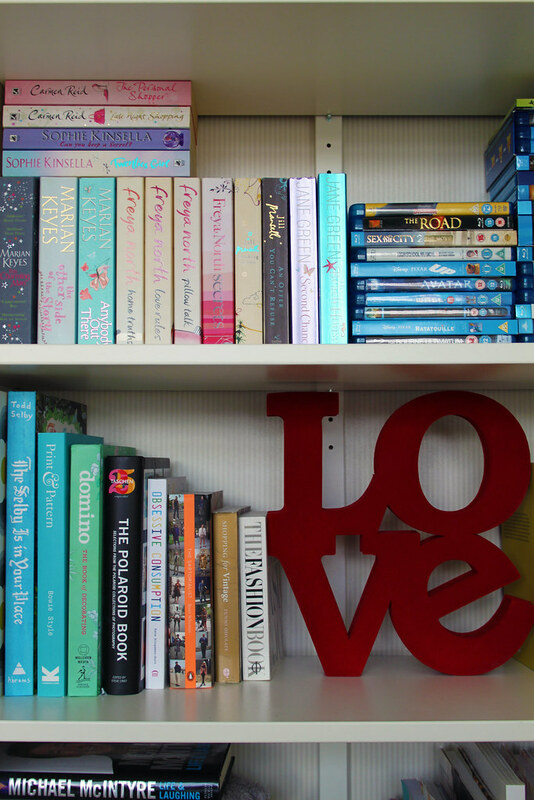 I can't wait to have my own place so I can have a bookshelf wall! Good to see some Carmen Reid books on there! 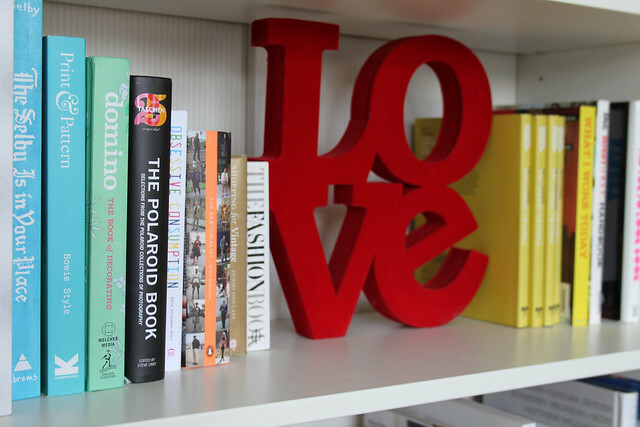 I love how you've arranged everything, our bookshelf is a Billy one from Ikea and I have never had a problem with it!